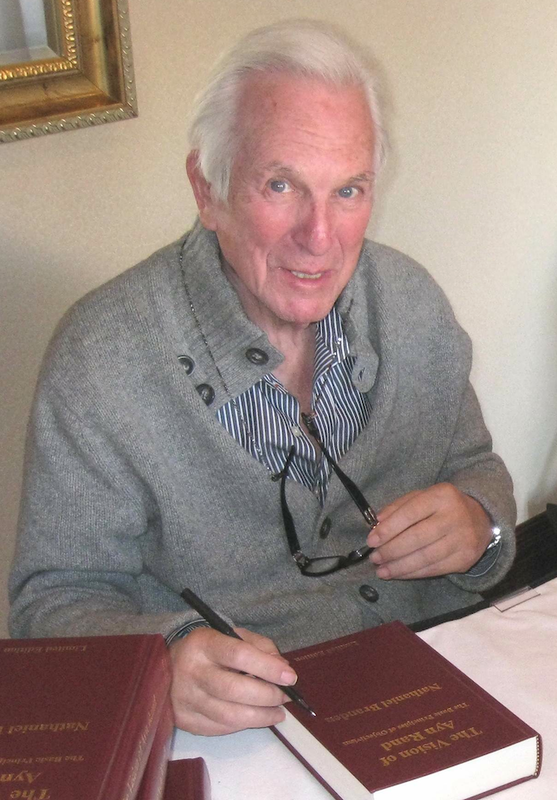 One of the most fascinating, and perhaps controversial figures, of modern America, Nathaniel Branden, died this morning in Los Angeles after a long illness. Dr. Branden was 84. He was known as a close associate of Ayn Rand's and the father of the modern self-esteem movement. He is preceded in death by Barbara Branden, his first wife and Patrecia Branden, his second wife. He is survived by his wife Leigh Branden, former wife and friend Devers Branden and nephews Jonathan Hirschfeld and Leonard Hirschfeld. Born in Brampton, Ontario, April 3 1930, as Nathan Blumenthal he received a BA in psychology from the University of California Los Angeles, an MA from New York University and a Ph.D from the California Graduate Institute. As an undergraduate he wrote a letter to Ayn Rand regarding her novel The Fountainhead, which earned him a phone call from the novelist/philosopher. He and his girlfriend, Barbara Weidman, visited Rand's home north of Los Angeles and became close friends and associates. After the publication of Rand's magnum opus Atlas Shrugged, Branden created the Nathanial Branden Institute and presented lectures on Rand's philosophy, Objectivism. Branden systematized Rand's philosophy, something she had not done, and presented lectures on the ideas, published as The Vision of Ayn Rand. These lectures were attended in person, or heard on tape, by thousands across the country and around the world including by many leaders of the nascent movement of modern libertarian. Branden also began a romantic relationship with Rand, with the knowledge and consent of his wife, Barbara, and Ayn's husband, Frank O'Connor. As is often the case in such relationships it did not end well and Rand and Branden had a stormy split in 1968. Branden went on to promote his psychological views on self-esteem. He acknowledged his role in creating a spirit of intolerance within Rand's circles, but he never repudiated the fundamental ideas, and in fact, defended them his entire life. His 1969 book, serialized in previous years in Rand's newsletter, The Psychology of Self-Esteem helped launch an interest in the issue of self-esteem. This was followed by other books such as The Disowned Self, Honoring the Self, The Six Pillars of Self-Esteem, Taking Responsibility and The Vision of Ayn Rand. I came to know Nathaniel late in his life, though I had been friends with Barbara Branden for decades. One afternoon Nathaniel called me and said he wanted to publish his lectures on Objectivism and said, "Barbara says that I should talk to you." Shortly after I went to Los Angeles and meet Nathaniel and Leigh Branden for dinner, to further discuss the book project. I had met him once years earlier and spoken to him briefly by telephone another time. But my impression then was of a business-oriented individual who didn't waste time. But, the man I met that night was warm, compassionate, funny, witty and utterly charming. He was nothing like the reputation I had heard about. He would be the first to acknowledge he changed. One afternoon I was having dinner with Leigh and Nathaniel, and Kerry O'Quinn, the founder of Starlog and Fangoria and another early associate of Rand. After a lovely meal Nathaniel leaned back and said, "I wish I were 30 years younger." As is often a fault of mine, I blurted out what I immediately thought, "I don't! I don't think I would have liked you then." For a second I panicked and thought I had committed a faux pas of immense proportions. Leigh Branden, his wife, then said, "I don't think I would have either." Nathaniel didn't take it badly at all but smiled in response, he had long acknowledged his more youthful faults and saw no shame is admitting them. He thought acknowledging them was critical to one's self-esteem and psychological well-being. The next day I recounted the story to Barbara Branden and when I finished she leaned over, patted my knee and said, "You wouldn't have." One of the things I realized is that as we age most of us become more and more like our worst self. It is easy to become bitter about how age treats the body and soul and to show that bitterness to the world. 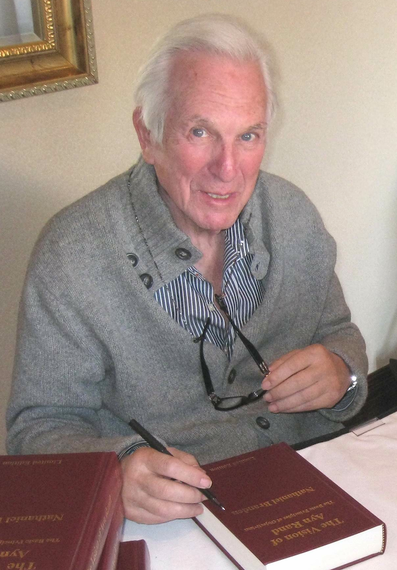 But, Nathaniel Branden, in his later years, became more and more like his best self.